The 1860, which replaces the long-running 1750-C, is sporting a completely redesigned tractor packed with new features aimed to increase machine efficiency and operator convenience. 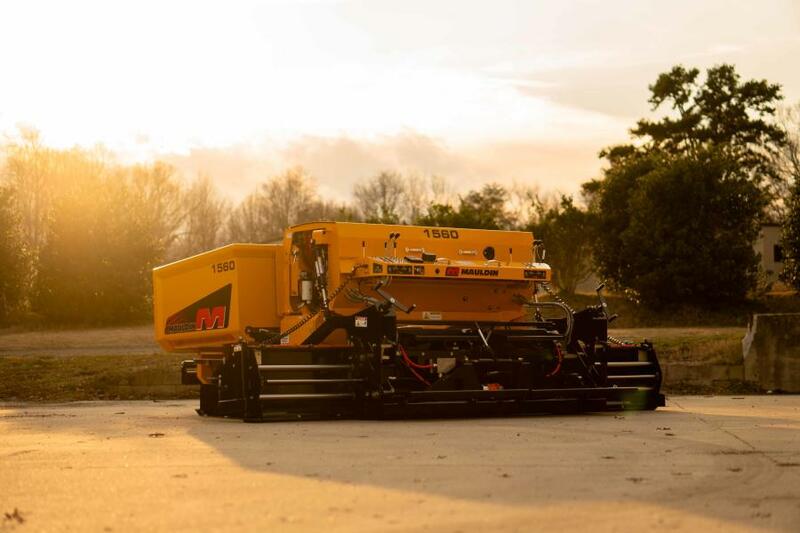 Mauldin unveiled three new commercial class pavers at the World of Asphalt show in Indianapolis this year. The three new models have undergone changes to help increase product performance while maintaining operator convenience, according to the manufacturer. The 1860, which replaces the long-running 1750-C, is sporting a completely redesigned tractor packed with new features aimed to increase machine efficiency and operator convenience. The new machine is powered by a Cummins 110 hp Tier IV Final engine. The redesigned tractor now has a larger 9.5-ton (8.6 t) material capacity. The new lower conveyor utilizes heavy-duty greaseless heat rated bearings designed for longer life meaning less maintenance and downtime. The 1860 is propelled by larger 14 in. (35.5 cm) extreme poly pad tracks giving the machine a solid foundation and better traction. People familiar with the performance and mat quality of the 1750-C will see the same results from the new 1860. The 1860 shares the same Silver 16 screed which has been in production for 15 years. The Silver 16 is still the heaviest screed in its class at 4,500 lbs. (2,041 kg). Paired with the 4-auger feed system the Silver 16 provides a mat quality and density rivaled by none, according to the manufacturer. The electric heat for the screed still comes from a 16 kw 4-zone fail-safe thermostatic control system. Also new for the 1860 are two 5 in. (12.7 cm) digital displays on each operator stand. These displays help bring the necessary gauges, auger controls, and screed heating controls to the fingertips of the operator. While each operator stand has full machine controls, the operator can select which station has control of left/right or both feed controls. Mauldin also has released the 1560 commercial paver. The 1560 has replaced the 1550-D and is powered by a Cummins 74 hp Tier IV engine. The 2.8L 74 hp engine does not use DEF fluid and only runs a DOC unit. The 1560 uses the same 8 to 14 ft. (2.4 to 4.2 m) Freedom Fourteen 4-auger screed. Improved from the 1550-D, the 1560 now comes standard with an electrically heated screed. The thermostat-controlled heat system gets its power from a 14 kw direct-driven generator mounted directly to the engine. This means less horsepower is lost from a belt or hydraulic driven system resulting in the most efficient system on the market. Also new for the 1560 is a color 5-in. (12.7 cm) digital display replacing the analog gauges. In addition to gauges, the digital display also controls the auger material height and screed heating. Lastly, new for 2019 is the 650 gravity fed paver. 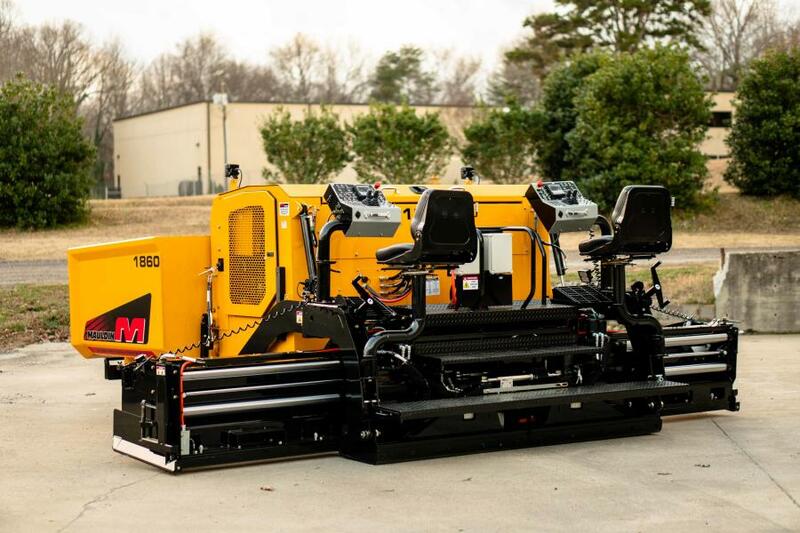 The 650 is built from the same platform of the 690-G paver. The 650 is powered by a 24 hp Kubota Tier IV Final engine. The 650 is offered with either a track crawler or rubber tire propulsion system. The 650 comes standard with the propane heated 8 to 13 ft. (2.4 to 39 m) Freedom Four screed.